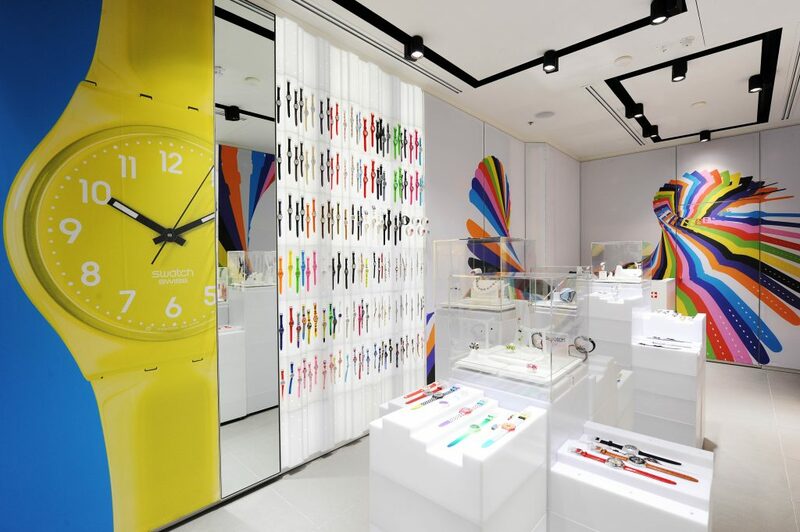 From 2013 to 2015, PNH Solutions was instrumental in the Swatch retail store construction and major expansion throughout North, Central, and South America, through the supply of custom-built Silicone Edge Graphic (SEG) Fabric Frames and prints. 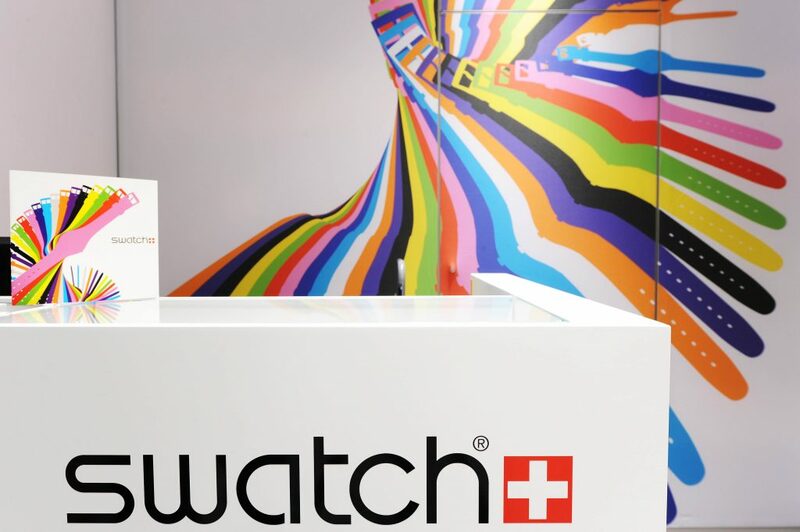 As high-resolution, dye-sublimated fabric graphics, finished with a thin silicone strip, that was stretched over and inserted into thin aluminum frames, Swatch chose the SEG Fabric Frames for their modern, frameless appearance. 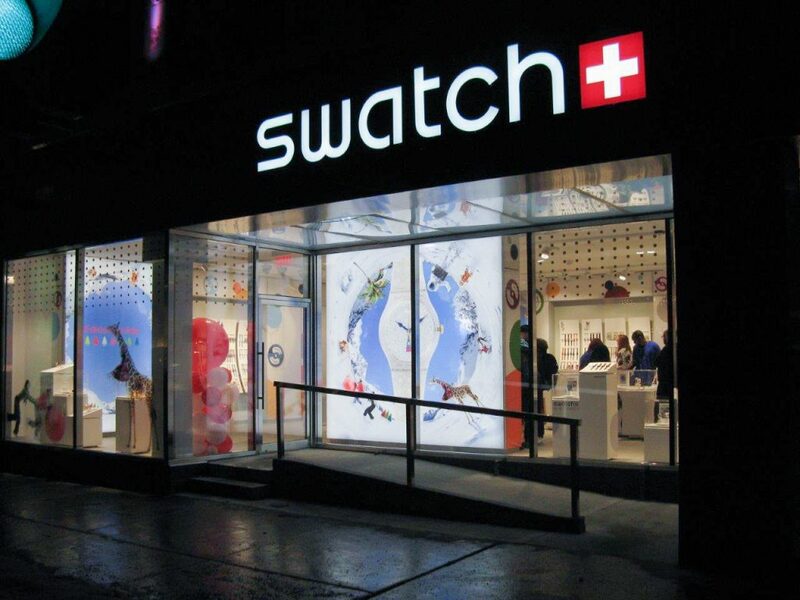 In order to create a strong visual impact, Swatch chose two kinds of Silicone Edge Graphic (SEG) Fabric Frames and prints to deploy in key interior store areas: Wall Mounted Fab Graphic Slim Frames with front lit dye-sub graphics for the interior store walls, and Wall Mounted Fab Graphic LED Frames with dye sub backlit fabrics for the street facing windows. With thousands of different SEG Fabric Frames that were custom built, printed and finished according to specific dimensions and layout of each store, the project required a high degree of precision during all stages of production. As every store was different, the dimensions, as well as the mosaic configuration of the frames, varied from one store to the other. Once the aluminum frames were built, each fabric panel was printed and cut, following specific color codes and stretch factors. As the visuals often spanned across many different fabric panels, each frame and print had to align perfectly with the others. Once finalized, PNH coordinated the logistics of getting all the products to this wide-ranging geographic area in a timely manner. Swatch was very pleased with the SEG Fabric Frames and prints, which were completed on time and to their complete satisfaction. The vibrant dye-sublimated fabric prints stretched over and fit into the recessed groove of each frame perfectly. Aligned seamlessly with one another, without any apparent gaps or spaces, the SEG Fabric Frames and prints completely covered the interior store walls and window spaces. 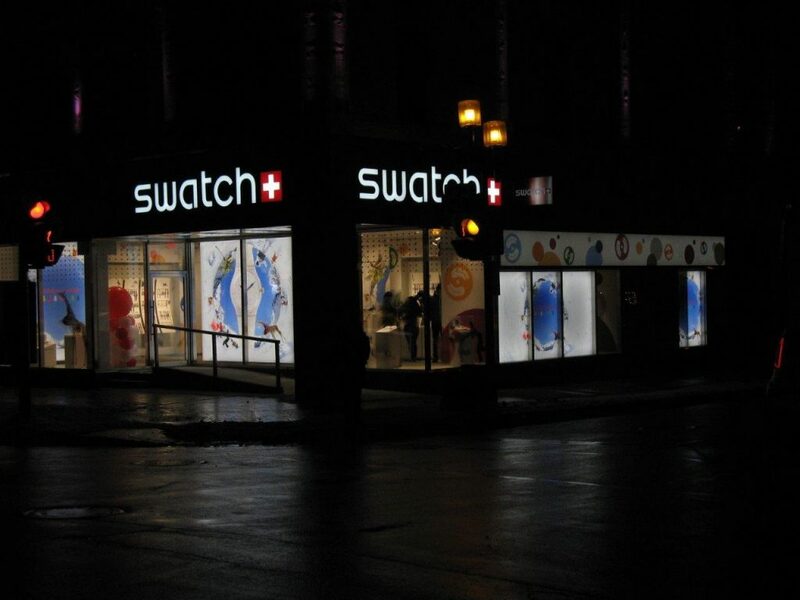 Visible during the day and at night, the SEG Fabric Frames and prints offered a unique and modern appearance, which helped create a lasting impression to visitors both inside and outside the Swatch retail stores.